W:5" x H:24" x X:6" x MC:12"
W:7" x H:30" x X:8" x MC:15"
Our Wilbur fixtures are exacting copies of an old 1930's design. Sleek styling and exotic metals make them timeless. 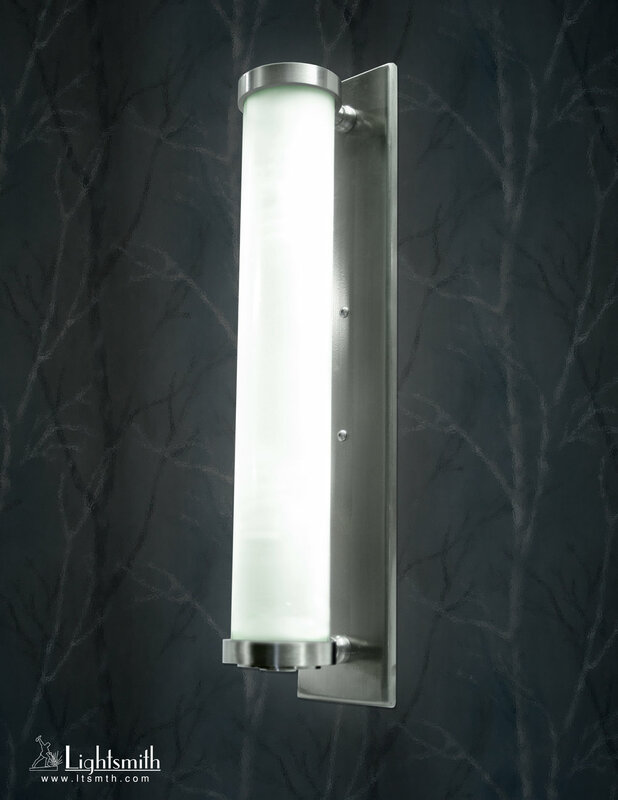 We offer these fixtures in several sizes and lamping options that 1930's architects could not have dreamed.